Ever since Instagram changed its algorithm from displaying photos chronologically, to now displaying posts from those that you interact with most, many businesses and influencers have complained about it being significantly harder to gain likes and followers. These two groups of users have a lot at stake whenever Instagram’s algorithm changes, as they both use the platform to generate revenue. On that note, Instagram is the preferred social platform of most influencers, many of whom receive money in exchange for sponsored posts put together for their audiences. Some influencers earn as much as $18,000 per post, which is why aspiring influencers see Instagram as a lucrative way to earn money. The path to success seems simple enough: grow a large following to make yourself visible to brands with the budget for influencer marketing, then strike up a business deal. But having a large following is not a goal unique to influencers. Businesses also see the value in how large numbers come across to their fans. Large numbers act as social proof that encourages others to jump on a brand’s fan bandwagon. Of course, since each Instagram change makes the process of reaching people and growing followers just a tad harder to do, some brands resort to dirty tactics to fast-track the process—like buying Instagram likes. Create multiple fake accounts and have them like your brand’s content. There are also services that sell Instagram Likes. 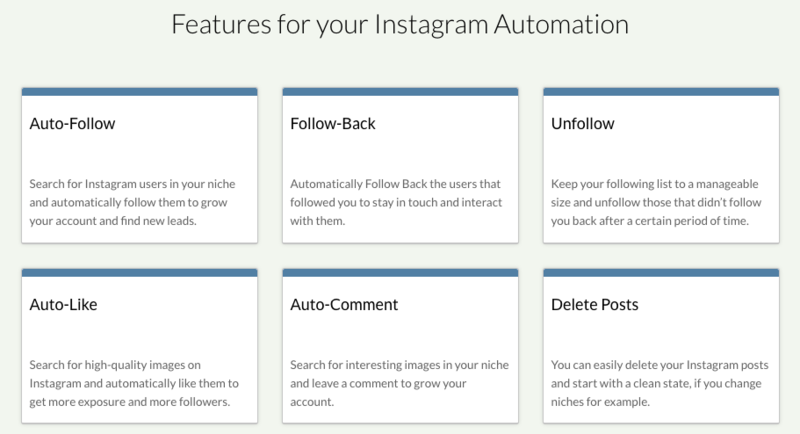 Subscribe to a service that provides access to Instagram bots that will follow or like photos on related accounts; then bots unfollow those accounts later on to maintain a more “ideal” follower/following ratio. The first method to artificially increase your Instagram follower count is a bit more tedious and doesn’t do anything to improve interactions. Some brands prefer to use a service that sells likes from fake pages. 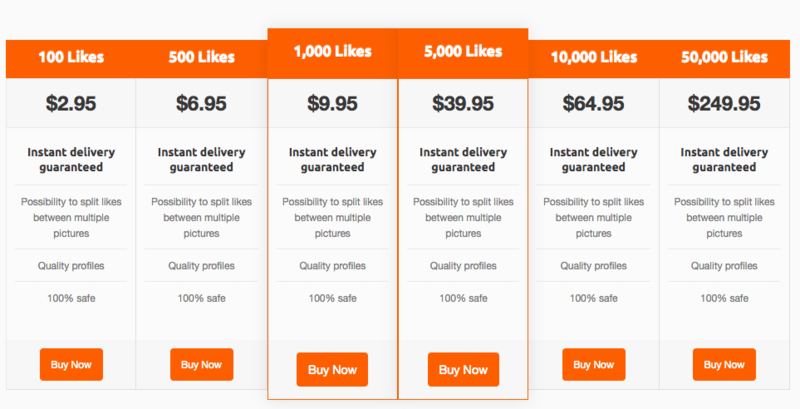 Here’s an example of a service that sells Instagram likes for as little as $2.95. Ultimately, engagement is what Instagram considers when they feature your photo on the aspirational Explore page, which has been known to help some accounts and content go viral. The other problem with this tactic is that it’s very easy to see through. Multiple fake account followers with no photos or interactions of their own are a huge red flag and a clear sign of suspicious activity. The second method to buy Instagram likes works to grow followers based on the rule of reciprocity, or in the world of social media, “follow for follow”. Of course, in most cases, these new followers don’t realize that the bot will just go back in and unfollow their account a few days later when they least suspect it. As such, it’s a bit of a deception that some may consider to be unethical. If anyone picks up on it and calls you out, others may join in and also react negatively toward your brand. Some bot-backed services will go as far as to leave generic one or two-word comments on photos like “Nice!”, “Extraordinary!” or “Great Job!” To the uninitiated, it seems like a real person is interacting with their posts. Of course, for those that know better or almost everyone that uses social media at this point, this tactic is easy to see through. In the worst cases, your hired Instagram bots could result in a bit of a PR disaster if one of your obviously fake positive comments ends up on a post relating to something with a mismatch between the spirit of the post and your overly enthusiastic comment. No one wants to see, “Great Job!” on a post documenting their dearly departed Aunt Sally’s funeral procession. While a bit of an extreme example, you’d be surprised by how often generic comments find their way on the wrong posts. Similarly, if you have an Instagram bot liking the posts from a generic set of hashtags you’ve fed to the service, don’t be surprised if it ends up accidentally liking something unsavory. Don’t forget that other users can see what you’ve liked in their updates feed. Generally, engagement rates go down the more followers you have. But say you come across a profile with 1 million followers that get less than 2,000 likes per photo. It shouldn’t be hard to tell that they have a lot of fake followers. Instagram accounts with less than 1,000 followers tend to have an average 8% engagement rate, while those with 1,000-10,000 followers tend to have a 4% engagement rate. Those in the 10,000-100,000 range tend to have a 2.4% engagement rate, while those with over 1 million followers tend to see a 1.7% engagement rate. These numbers can be helpful in benchmarking who buys Instagram likes, and who’s the real deal. On an opposite note, if the likes-to-followers ratio on a photo seems much too high (above 7%), these are potentially bought likes, as it’s easier and cheaper to buy fake likes than fake followers. 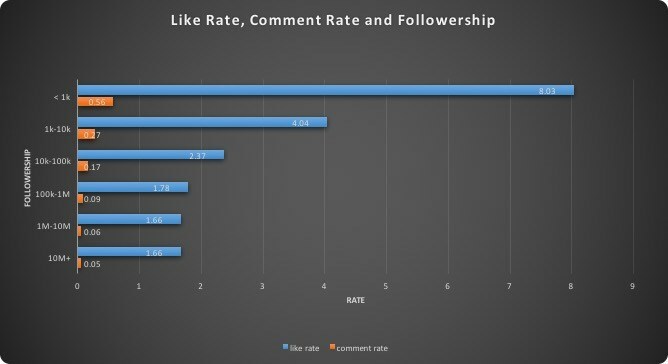 A dead giveaway with regards to fake likes can be sussed out by comparing the ratio of likes to comments. If there are a lot of likes on an account, but a disproportionate amount of comments, then it’s probable that they buy Instagram likes. Look through their followers’ profiles. If these profiles have minimal activity, then these may be accounts specifically created for those that buy Instagram likes. Look for accounts with less than 15 posts, few followers, no photos of themselves, or that haven’t been updated in years. Look at the user’s engagement. If they have a small like-to-follower ratio, and spammy comments that don’t make sense, then their followers may be fake. Check if any “buying” services follow the account. This won’t be too hard to figure out because these accounts heavily advertise the fact that they sell fans. 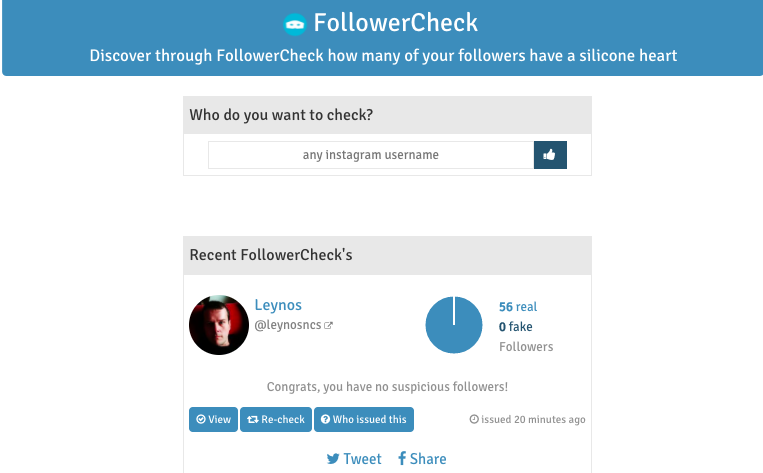 Tools like SocialBlade or FollowerCheck can help you to understand whether or not a profile has fake followers. At least, they will if they catch you. You might get a warning the first time if you’re lucky, but the disbanding of Instagram bots like Instagress and Archie seem to reflect a no-nonsense attitude for the social network moving forward. Instagram encourages users to be present and upload posts/engage with other users in real time. Anything not happening in real time, or making use of some type of automation, is not something Instagram looks at in a positive light. According to Instagram’s former Community Evangelist Jessica Zollman, Instagram has a team dedicated to identifying spam, and they’re not afraid to deactivate accounts that fit the bill. Since 2014, Instagram purged millions of fake followers from many accounts on Instagram (many celebrities were hit hard), because they wanted to bring more authenticity to the platform. 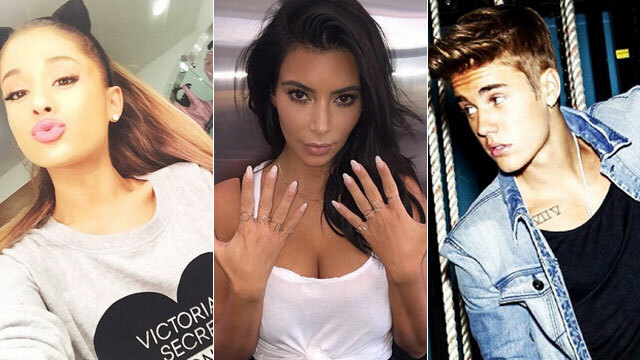 Celebrities like Ariana Grande, Kim Kardashian, and Justin Bieber all experienced significant follower drops after the Instagram purge of 2014. Because Instagram constantly purges fake followers, you will lose in the end by spending any amount of money on these activities to grow your numbers. On top of that, when you buy Instagram likes, you’re violating Instagram’s strict Terms of Service. Doing so runs the risk of getting your account suspended. Fake followers don’t buy products or promote your brand. And fake likes do very little beyond making it seem like your brand is larger than it actually is. And as we’ve already covered, all of that automation usually does much more harm than good for your reputation. Just because you have tons of followers does not mean brands will automatically want to work with you. As social media and influencer marketing evolves, brands have access to more tools and knowledge to pick out the fakes from the real deal. Because of this, brands are smarter now. Besides your follower metric, they also look at engagement rates. Without real followers, it will be hard to demonstrate a good engagement rate when trying to work with brands. And for companies seeking to use fake likes and followers to build social proof, they’ll find that their efforts fall flat if no one is actually engaging with their content. With Instagram constantly purging fake followers and you constantly buying them to keep with appearances, you’ll end up losing money. At any rate, many social media agencies have run tests that have shown that using bots did not help sell products on Instagram. The lesson here is clear—it’s better to have a small, focused and active community than a bunch of fake followers that will never interact with or buy from you. Don’t buy followers or likes in order to fool your audience or establish social proof. Use Instagram to build a genuine relationship with your audience and engage with them. Buying followers may be tempting, but it will do you more harm than good. When you buy Instagram likes, it’s easy to see through and will likely cost you money and partnership deals in the long run. So be yourself, and don’t sell yourself short. Grow your following organically and follow Instagram’s Terms of Service to avoid the potential of your account getting shut down for foul play. If you’ve found success and didn’t buy Instagram likes, we’d love to hear what’s working for you. Tweet @SproutSocial with your insights, and we’ll share our favorites!